Capture video from webcam, network IP camera or any video input device. Enhance video with text/image overlays and more stylish effects. Totally free, simple and safe. Capture video from a webcam, digital camera, USB cameras, PCI capture card, or video input device (e.g., VHS recorder) and so on. Capture images at up to 30 fps from network IP camera for broadcasting live audio and video stream on internet. Webcam/Screen Video Capture Free enables you to record all your activities performed on the screen into video in real time. 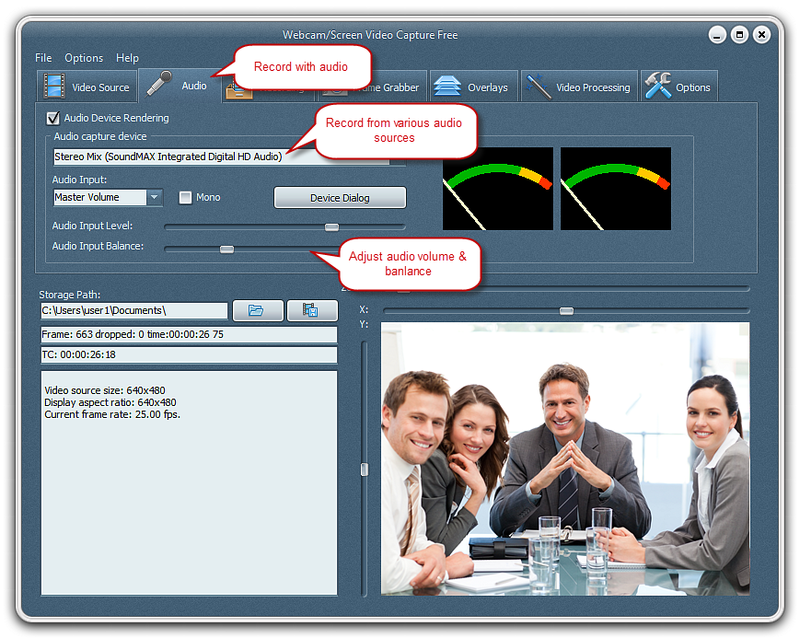 Webcam/Screen Video Capture Free is pretty straight-forward video capture software application which does exactly what it says. It helps capture video from a webcam, digital camera, USB cameras, PCI capture card, or video input device (e.g., VHS recorder) and so on. Now you can have more video fun with your webcam and other devices. 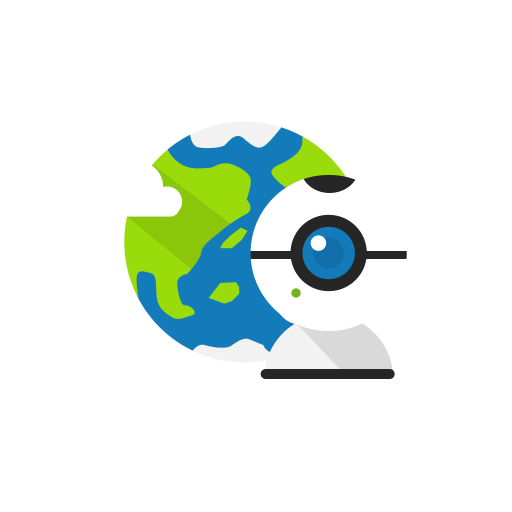 During our test, it performs very well and users can record as long as you want without any time limitation. More importantly, it has the ability to record from a large variety of devices like webcam, digital camera, USB cameras, PCI capture card and many others. Webcam/Screen Video Capture Free allows you to capture images at up to 30 fps from network IP camera for broadcasting live audio and video stream on internet. You can enter the authentication ID & password and send commands to remote control the camera according to your needs. This way it is easy to keep an eye on your home, office, parking area or anywhere you have an IP camera. 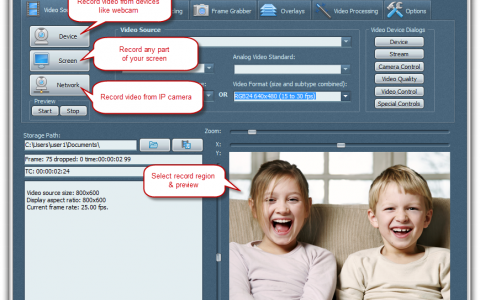 Webcam/Screen Video Capture Free is a new generation web video recording program. Its superior technology lets you easily record streaming video from all video websites. This free streaming video recorder can capture all your favorite films, TV shows, live sports, video blogs, and music videos that are playing on your media player or web-browser for enjoyment on your portable devices at your convenience. 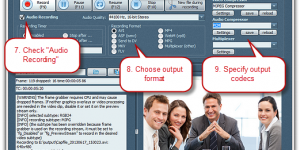 This free screen capture software records the entire screen or any selected part. The previewer allows you to zoom by dragging the slider or scrolling the mouse wheel. It lets you select any region by moving slider horizontally or vertically on the x/y-axis bar as needed. In addition to capturing video, you can simultaneously capture audio from a microphone, telephone line, audio mixer and other input devices. Audio quality with optional (audio frequency, bitrate & mono/stereo channel). It is wonderful to create a video production which includes your voice, ideal for recording video conferences and many similar occasions. 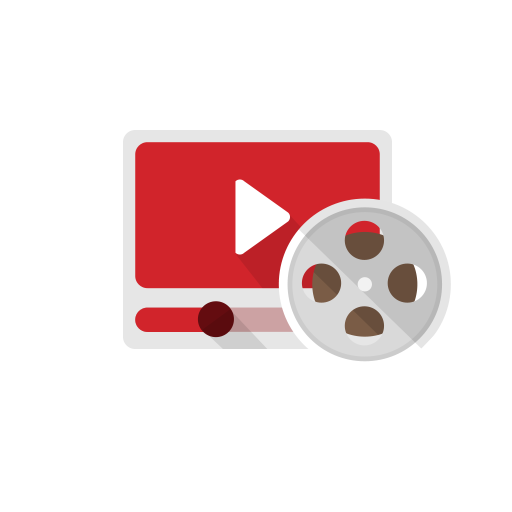 Different output video formats are provided for users to code the output video file like AVI, ASF, Send to DV, MKV, FLV, MP4, etc. 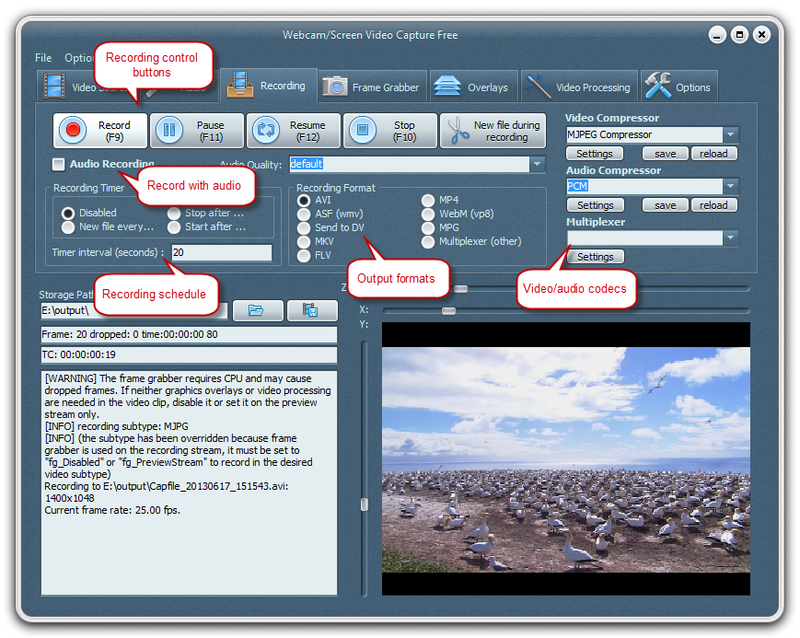 The “Send to DV” lets you send the audio/video to a DV device like a DV camcorder to get a high-quality copy that you can dust off and re-encode at some time in the future and the Multiplexer combines multiple signals over a single medium to transfer digitally from CD players to another one. 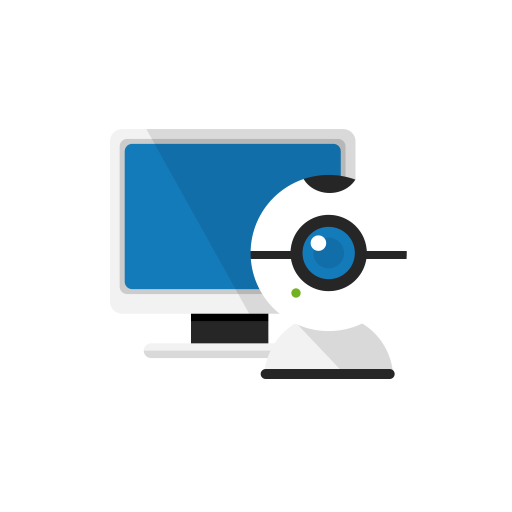 Feel awful to wait in front of your PC for recording? Take it easily! Just to create your schedule task with a built-in recording timer provided by Webcam/Screen Video Capture Free. This tool helps set up a schedule to start/stop the recording activities or create a new recording automatically after a certain period. As long as you preset your task, just leave the rest to Webcam/Screen Video Capture Free, without the need for supervision. 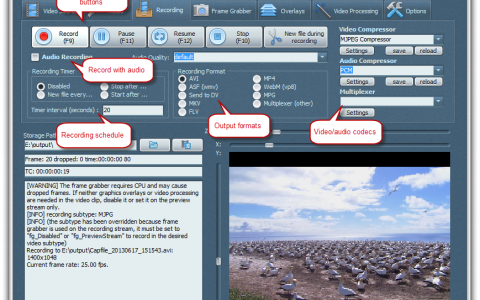 Webcam/Screen Video Capture Free enables you to choose the video and audio codecs in your computer, containing detailed settings, to help get the highest recording quality for the source video file. If the recording fails because the compressor is not suitable， the program will show error & warning info to remind you to choose the proper one. With the inbuilt frame grabber, you can grab still images from your webcam or screen in one-shot mode or burst mode to save as BMP/JPEG format or save to clipboard for further usage. It is available to set the number of frames to take or to skip between each capture. Meanwhile, you can adjust the height and width of captured frames as well as zoom the size. Adding text/image overlay on the video recording is useful to copyright your video, add your logo on the screen recording, add date and time and so forth. 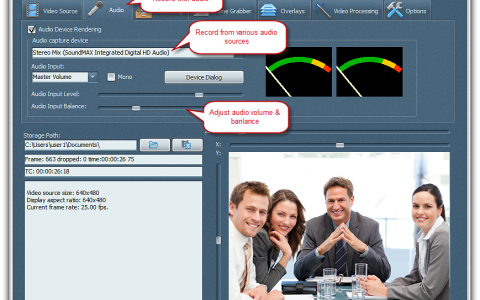 Webcam/Screen Video Capture Free comes with multiple (up to 10) images/text overlays to apply onto one video file. 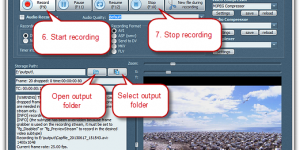 Webcam/Screen Video Capture Free lets you add overlay text – simple or animated – to your video recording. You can choose the shadow direction, text align, position, size, speed, font & background color, transparency, shadow as well as scrolling. There is also a time and date generator for creating Time Lapse Surveillance video. 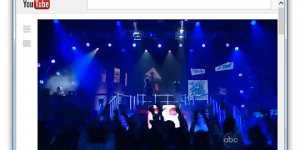 The text overlay is helpful to add text such as song lyrics, titles, menu, and descriptions to the live video content. 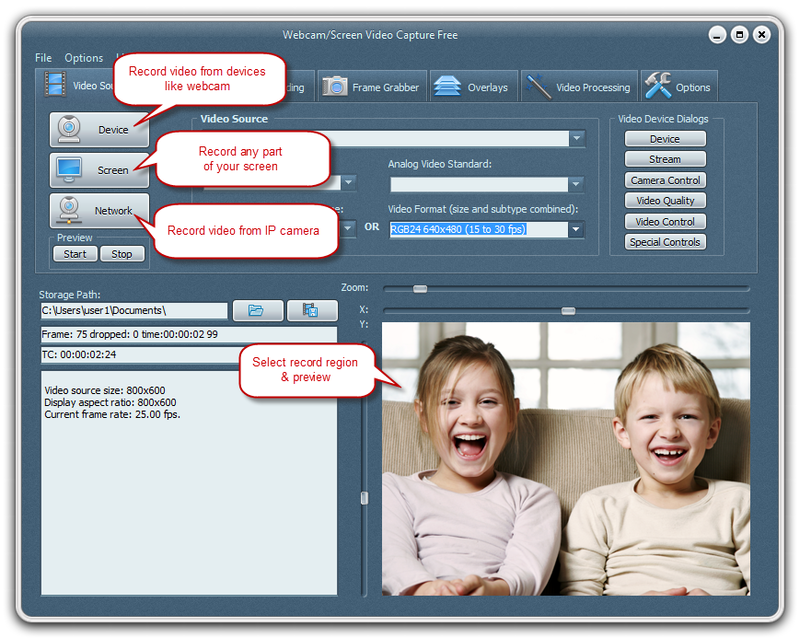 Webcam/Screen Video Capture Free can make great-looking home videos with some useful features. 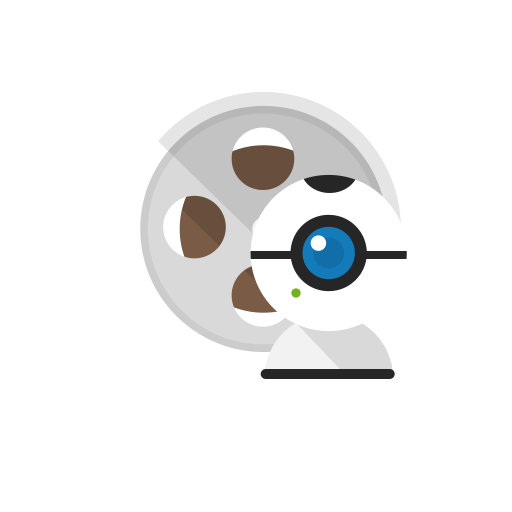 Now you can: Set the crop dimensions to cut off unwanted borders from a video frame; apply Deinterlacing to remove the interlacing artifacts; rotate or flip the recording; custom mirror & custom angle; customize brightness, contrast, saturation, hue, etc. ; invert colors and apply Grayscale & Pixelization to recording. Webcam/Screen Video Capture Free comes with more unexpected gifts. To leave the desktop free enough for recording, just minimize the recorder, and then you can restore it when the recording is complete. If you prefer to use hot keys instead of clicking buttons, just set your own hotkeys to start, pause, resume and stop recording in a single step. The program can automatically & intelligently name the output files. 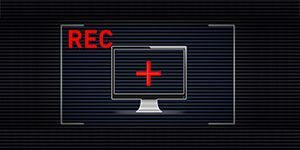 100% free and safe, Webcam/Screen Video Capture Free helps record video in high quality without any limitations, hidden costs, watermarks and so on. High-performance and user friendly interface video recording technology, which makes it really easy to use. Just 3 steps，you will enjoy your own digital video movies, no matter you are a veteran or novice!